Danny O’Brien expects to learn a lot more about the autumn prospects of My Pendant at Flemington. Trainer Danny O’Brien expects to learn a lot more about the autumn prospects of My Pendant when the up-and-coming filly is tested at stakes level for the first time in The Vanity at Flemington. 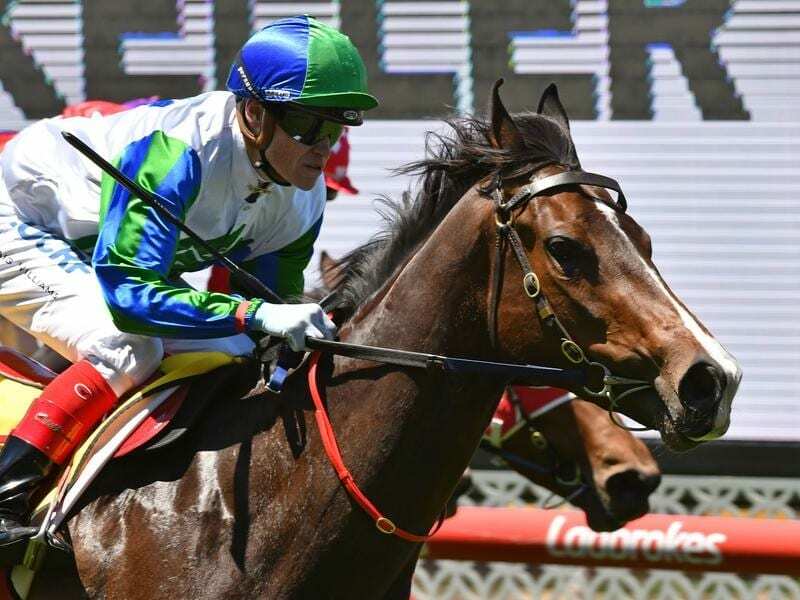 My Pendant has risen through the grades with three straight wins during the late spring and early summer and she returns from a let-up in Saturday’s Group Three Vanity (1400m) for three-year-old fillies. “Her last couple of wins at Moonee Valley and Flemington were both very impressive and the obvious next step is to step up into stakes grade,” O’Brien said. “She’s had a nice little freshen up over summer and she seems to be in good shape so I’m looking forward to testing her against better horses on Saturday. “I think she can hold that form from the summer and I’m obviously hoping that form is good enough to be competing against the fillies who were the best fillies in the spring. O’Brien said My Pendant retained residual fitness having raced as recently as December 22 and the filly has also had a barrier trial at Cranbourne to have her fit enough for The Vanity. From barrier 10, O’Brien expects My Pendant to be ridden off the pace in her usual pattern before trying to utilise her turn of foot which the trainer believes is one of the filly’s main assets. “That’s the exciting part about her, she relaxes very well in her races and she has the ability to really sprint at the finish,” he said.